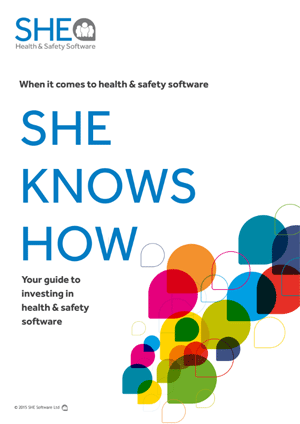 Andrew Sharman is a great friend of SHE Software. As one of his passions is safety he's defined a career in helping companies keep their people safe from harm and by elevating safety to the top of the leadership agenda. Is it surprising then that his other passions include paragliding, extreme sports, and swimming with sharks? In this talk from TEDx Lausanne, Andrew argues that despite enjoying unprecedented levels of safety, our society promotes a 'culture of fear' to cope with the uncertainty and change we face in our lives. Under the cloak of anxiety, modern society advocates hesitancy and over-precaution as virtuous rationale for inaction. The busier we are with our lives, the narrower our paths become as we choose comfort over transformative thinking. Andrew takes us on a personal journey about the evolution of fear into a positive force. In his talk he offers a technique for reframing our perspectives on risk and harnessing the power of our fears in order to reinvigorate our interactions with the world.